The cause of presbycusis is likely multifactorial, but ultimately the loss of cochlear hair cell function is thought to be the cause in most cases. Hair cell damage or loss can result from chronic noise exposure, genetic predisposition, and ototoxic medications. The hearing loss may also be caused by neurovascular injury from chronic conditions such as hypertension or diabetes, which can affect the cochlea or cochlear nerve. Hormonal conditions such as hypothyroidism should be considered, as should unusual conditions such as tertiary syphilis. Central auditory problems might be the cause, from dementia, cerebrovascular disease, or cerebrovascular accident (CVA, stroke). Although the term presbycusis implies sensorineural loss, conductive hearing loss should also be considered, including cerumen impaction, chronic OME, and otosclerosis (see Box 19-6). Changes in altitude while flying (or scuba diving) can lead to rapid changes in middle ear pressure, leading to accumulation of serous middle ear fluid or blood. Symptoms may include aural fullness, otalgia, and conductive hearing loss. In most cases the fluid is resorbed, although this may take several weeks. Autoinflation maneuvers (popping the ears) may hasten recovery. Oral and topical decongestants, nasal steroid sprays, or a short course of corticosteroids may be helpful. Antibiotics are indicated only if there are signs of infection. 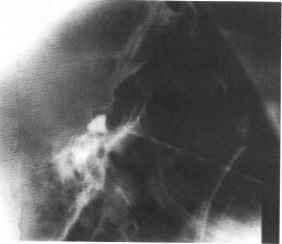 If fluid persists or is troublesome to the patient, a myringotomy allows the fluid to be drained. Tympanos-tomy tube insertion may be indicated for persistent middle ear fluid. Rarely, a rapid change in middle ear pressure can lead to the creation of a perilymphatic fistula between the inner and middle ear. The patient complains of severe vertigo and hearing loss (sensorineural) (see Vertigo). Urgent ENT consultation is indicated. Such as Meniere's disease, treatment directed at the cause may be used, but there is no effective pharmacological management of tinnitus or hearing loss. Hearing aids are indicated when hearing loss is significant and aidable, meaning that improvement in word recognition scores may be obtained with amplification. Hearing aids are expensive. They are often not covered by standard insurance policies, and there are considerable performance differences between basic and deluxe models. For these reasons, hearing aids should ideally be fit by an experienced audiologist who offers at least a 1-month tryout period. 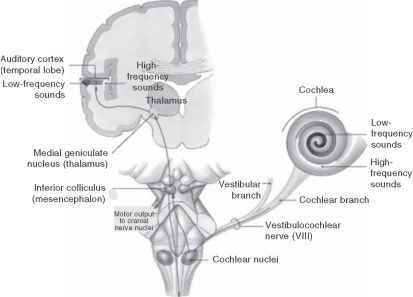 Initial symptoms, such as vertigo, dizziness, and tinnitus, result from irritation of the vestibular or the cochlear part of the eighth nerve. At the beginning these symptoms may be slight and temporary with several relapses occurring over weeks or months, or they may develop so slowly that they are neglected for a long time. Vestibular symptoms may be noticed by patients as a short intermittent feeling of being drawn to one side and almost losing their balance mostly these symptoms are attributed to blood pressure disturbances. Acoustic symptoms include high-pitched (rarely low-pitched) tinnitus and decreasing hearing. Hearing loss may present as an acute attack with or without recovery or as a progression over a couple of years. Some patients become aware of their hearing problem only when using the phone on that ear. Then an otorhinolaryngologist is contacted. 'Average hearing loss at 1 to 3 kHz. 'Average hearing loss at 1 to 3 kHz. Cross rehabilitation equipment can be mounted to spectacles in case of unilateral deafness and allows the patient, via a receiver on the deaf side and a loudspeaker on the hearing side, to perceive noises and voices on the deaf side. Auditory brainstem implants are designed for patients with NF2 who have bilateral hearing loss caused by bilateral destruction of the cochlear nerves from schwannomas. Implants initially give patients some perception of environmental sounds patients then relearn to understand syllables, whole words, and finally sentences. With implants and lipreading, they achieve an understanding of 40 to 100 of conversation of an unknown context. 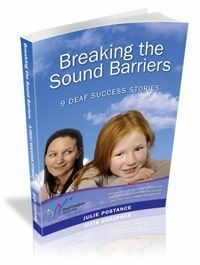 'Preservation in H5 signifies recovery from functional deafness to auditory function. Physicians to start the workup while waiting for a specialist appointment. Results of the workup may facilitate more specific referrals. Even if not globally delayed, all children with language delay should have a formal audiology assessment to rule out hearing impairment. The classic AICA syndrome includes vertigo with vomiting and nystagmus (vestibular nuclei, vestibular nerve or labyrinthine artery), ipsilateral deafness with tinnitus (cochlear nerve or cochlear artery), ipsilateral peripheral-type facial palsy (facial nucleus or fascicle of VII), ipsilateral facial hypesthesia (trigeminal nuclei or fascicle), ipsilateral Horner's syndrome (descending sympathetic tract), ipsilateral ataxia, dysar-thria (middle cerebellar peduncle and cerebellum) and contralateral thermoalgesic sensory deficit (spi-nothalamic tract). It is frequently misdiagnosed as Wallenberg syndrome, but the main clinical distinctions are the hearing loss and the peripheral-type facial palsy. Occasionally, horizontal ipsilateral gaze palsy or dysphagia are also present. More rarely, AICA territory stroke can present as an isolated vertigo or isolated cerebellar syndrome. Hallucinations in stroke patients are predominantly visual and can be due to (1) sensory deprivation poor vision (Charles Bonnet syndrome), darkness, deafness . . . (2) delirium and substance withdrawal (alcohol, drugs) (3) rostral brainstem and thalamic lesions (peduncular hallucinosis) (subcortical hallucinations) (4) partial occipital lesions (release hallucinations) (cortical hallucinations). Functional imagery studies showed that in subjects with visual hallucinations there was activation of the ventral extrastriate visual cortex and that the type of hallucinations reflected the functional specialization of the activated region. Henry is a 65-year-old man in no acute distress. Physical examination reveals systolic hypertension, retinal changes suggestive of sustained hypertension, a mild cataract in his right eye, a conductive hearing loss in his right ear, tonsillopharyngitis, and gynecomastia. 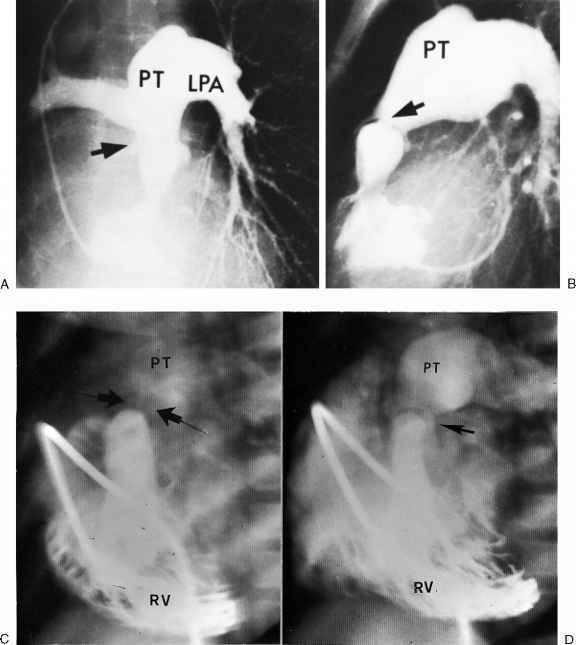 Cardiac examination reveals aortic insufficiency. 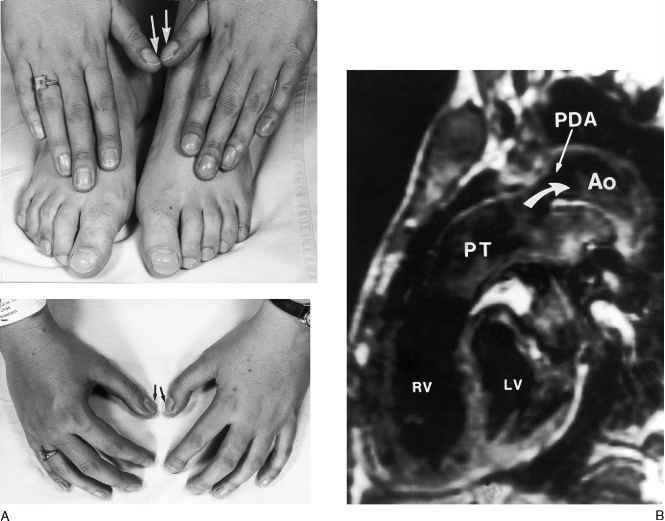 Peripheral vascular examination reveals possible atherosclerotic disease of the right carotid artery and mild venous disease of the lower extremities. The patient has a right, easily reducible inguinal hernia. A left-sided varicocele is present. Mild osteoarthritis of the hands is also present. Benign lesions of the lateral skull base and cerebellopontine angle (CPA) often produce neurotologic symptoms such as hearing loss, dizziness, imbalance, facial weakness, and facial hypesthesia. Clinicians who manage patients with skull base lesions should have a working understanding of the clinical evaluation of these symptoms. This chapter focuses on the neurotologic evaluation of patients with benign lesions of the lateral skull base and CPA. We begin with a brief description of the more common surgical approaches to these regions from the neurotologic perspective. We then focus on key elements of the neurotologic examination and clinical testing that assist in establishing the diagnosis and selecting the most appropriate clinical management. And hearing loss cardiac conduction defects, arrhythmias, and dilated or hypertrophic cardiomyopathies CNS dysfunction, including dementia, seizures, and ataxias peripheral nervous system damage, including motor sensory neuropathies mitochondrial myopathy and mutisystemic organ involvement in the form of diabetes mellitus, hypoparathyroidism, glomerulosclerosis, proximal renal tubule dysfunction, gastrointestinal motility problems, and respiratory failure. Limit (in anterior fossa fractures), or bruising over the mastoid process (Battle's sign) in fractures of the petrous bone. Petrous fractures can damage the middle or inner ear and may have associated bleeding from the external meatus, deafness, dizziness or facial nerve palsy. If the dura underlying a base of skull fracture is torn, there may be a CSF leak through the nose or the ear, or air many enter the subarachnoid space (pneumocephalus). In either event there is a risk of bacterial meningitis. If the dural tear does not heal within 1-2 weeks, surgical repair is usually indicated. Recently published guidelines do not recommend prophylactic antibiotics for a CSF leak. Blood lactate levels are elevated, indicating dysfunction of the respiratory chain. Most commonly, MELAS is associated with a mitochondrial DNA point mutation at position 3243 within the tRNA encoding gene. Many different phenotypes, alone or in combinations, have been reported with this mutation (hearing impairment, cognitive decline, progressive external ophthalmoplegia, or epilepsy). Degeneration of the organ of Corti may result in presbycusis, an impaired sensitivity to high-frequency tones. Patients experience a slowly progressive hearing loss with a consistent pattern of pure tone loss. Otosclerosis may produce conductive deafness, as does the excessive cerumen accumulation so commonly seen in older individuals. A degeneration of the hair cells in the semicircular canals may produce vertigo. HA in 16 , flushing in 10 , dyspepsia in 7 , visual disturbance in 3 , priapism uncommon. NAION (nonarteritic anterior ischemic optic neuropathy) and hearing loss have been reported in individuals taking PDE 5 inhibitors, but a causal relationship has not been identified. The risk factors for NAION are similar to those for ED, such as age > 50 yr, HT, increased cholesterol, and DM. Hearing loss has also been reported in patients taking PDE-5 inhibitors. As with NAION, a causal relationship has not been established. Hearing loss see sildenafil side effects. Deafness in one ear, although this is rare due to significant cross midline communication in the brainstem. Auditory symptoms are associated with brainstem strokes and may include hearing loss (if bilateral stroke), phantom auditory perceptions (tinnitus hallucinations) and increased sensitivity to sound (Hausler and Levine, 2000). Lesions to the auditory cortex in the temporal lobe (cortical deafness) may mean that although the patient is unable to consciously hear sound, they may be able to reflexively respond to sound thus 'appear' to hear Lesions to adjacent association areas (Wernicke's area) result in patients being unable to comprehend the meaning of sounds or words, known as receptive aphasia or agnosias to particular sounds. Vertigo or unilateral hearing loss may rarely be the result of an infarct of the vestibulocochlear nerve. Other cranial nerves, such as the fifth, seventh, or twelfth, have been affected in isolation or as part of a mononeuritis multiplex. Occasionally, other cranial neuropathies have occurred causing facial pain, hemianesthesia of the tongue or lingual paralysis. Ipsilateral deafness, ipsilateral facial weakness, decreased sensation, ipsilateral face Nystagmus, ipsilateral deafness, diplopia (CN IV) Acute hearing loss can occur with AICA infarctions. Vascular lesions of the auditory cortex do not lead to complete deafness, even if the lesions are bilateral. Pure word deafness can occur with unilateral or bilateral temporal lesions affecting Heschl's gyri. Due to the binaural representation of the ascending auditory tracts above the level of the cochlear nuclei, lesions of the brain stem involving the auditory pathways do not cause deafness. Patients with labyrinthitis usually experience hearing changes, whereas those with vestibular neuronitis do not. A viral infection is the usual cause in younger patients while infarction becomes more likely in the older adult. Older-adult patients may recover more slowly and experience feelings of imbalance for several months. Treatment during the symptomatic period may include vestibular rehab exercises and pharmacologic agents such as meclizine, promethazine, or low-dose benzodiazepine (e.g., lorazepam). Meniere's disease should be suspected when an older adult reports recurrent episodes of vertigo, tinnitus, gradual development of low-frequency hearing loss, and in some cases ear fullness before onset of vertigo. 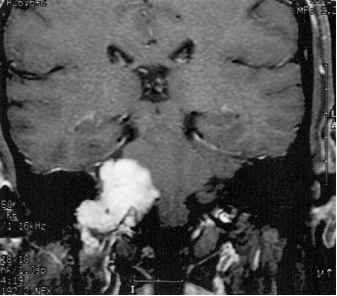 The history of previous subacute monocular visual loss suggests a diagnosis of multiple sclerosis. Some degenerative ataxias are associated with gradual visual loss due to retinitis pigmentosa. Diplopia, facial numbness, facial droop, vertigo, or hearing loss resulting from associated cranial neuropathies (cranial nerves III, IV, V, VI, VII, and VIII) associated with ataxia suggest a disorder in the brain stem. 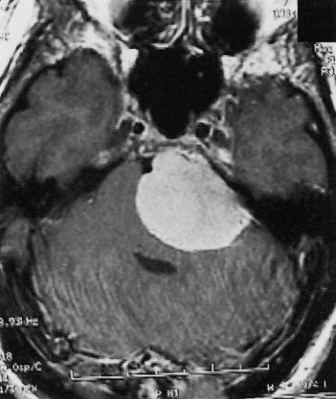 Tumors of the cerebellopontine angle, such as acoustical neurinomas, are frequently associated with nerve palsies of cranial nerves V, VII, and VIII. In congenitally acquired rubella, the fetal infection may result in abortion, stillbirth, congenital malformations, or growth retardation. The congenital rubella syndrome is the result of inhibition of cell multiplication in the developing fetus and a chronic infective state that may persist for many months after birth. Some consequences of fetal infection may not become apparent until years after birth. Common congenital abnormalities and active infective processes at birth include cataracts, deafness, central nervous system defects leading to mental retardation, structural defects of the heart and myocarditis, bone lesions, pneumonitis, and hepatitis. Initial evaluation is directed by the history. The examination should include a thorough examination of the ear (including sensorineural or conductive hearing loss), the eye (including lacrimation), and the cranial nerves especially extraocular muscles (EOMs). Motor function of the seventh cranial nerve is evaluated by having the patient raise their eyebrows, smile, pucker, and frown. No single laboratory test is diagnostic. Screening CT or MRI of the head is of little value in the absence of additional findings on physical examination. Nietzsche's phrase What does not destroy me, makes me stronger is evident in the transformational power of major illness. Throughout the centuries, visual artists of diverse backgrounds have used creativity to turn poor physical health into a transforming illness, an experience that alters both their lives and their work. There are as many types of transforming illnesses as there are people who have them. Artists have used conditions such as cancer, AIDS, arthritis, quadriplegia, learning disorders, vision problems, deafness, and the aftermath of serious accidents as opportunities for self-evolution. A transforming illness may be an acute episode or a chronic condition, yet whenever it appears, life takes a new trajectory and things are never the same. Patients with this syndrome have Lentigenes (1- to 5-mm brown macules on back, thorax, and neck), Electrocardiographic conduction defects, Ocular hypertelorism, Pulmonic stenosis (and other cardiovascular system abnormalities such as hypertrophic cardiomyopathy), Abnormalities of genitalia (hyopgonadism), Retardation of growth, and Deafness of sensorineural origin (30) (Fig. 2). Patients with LEOPARD syndrome are predisposed to sudden death ifthere is coexistent hypertrophic cardiomyopathy (31). These.2 Despite this, MRI is extremely noisy. The noise occurs during the rapid alterations of the magnetic currents within the gradient coils. These currents, in the presence of the static magnetic field, produce significant forces on the gradient coils, so causing them to impact upon their mountings.11 The noise level is independent of the strength of the static magnetic field.17 Temporary hearing loss has been reported following MRI,18 although there are no substantiated reports of permanent loss. Ringing, buzzing, hissing, chirping, and whistling will it ever stop For an estimated 50 million Americans with tinnitus, commonly called ringing in the ears, it doesn't. I have lectured to hospital-based tinnitus support groups and heard the word about this incredibly annoying and aggravating condition. 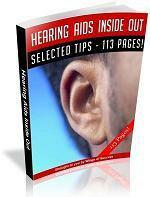 The ear noises can be intermittent or continuous, and the loudness also varies. Background noises of daily life often drown out the ringing or buzzing during the day. The worst time seems to be when you're trying to fall asleep in a quiet room. The noises can be so distracting that they interfere with your concentration, work, relationships, and sleeping patterns. For many, the personal distress creates anxiety about going to bed at night. Tinnitus is often associated with hearing loss, but it does not cause the loss, nor does hearing loss cause tinnitus. The cause of tinnitus is obscure. The cause of speech and language difficulty actually may be a hearing loss or an abnormality in the structure of the mouth, larynx, or the throat that interferes with the production of proper speech. In many instances, however, there is no structural cause for a language or speech problem. When this is the case, these problems are related to the temporal lobe of the brain's left hemisphere, where speech is produced and modulated. With regard to neurosyphilis, a reduction in neurologic manifestations is desired, which may include seizures, paresis, hyperreflexia, visual disturbances, hearing loss, neuropathy, or loss of bowel and bladder function. In late neurosyphilis, vascular lesions (meningovascular neurosyphilis) may also be observed thus, a reduction in the number of observed lesions is warranted. A diminution in CSF WBC (less than 10 x 103 mm3 10 x 109 L ) or protein levels (0.05 g dL 0.5 g L ) is also preferred. While a classic statement that highlighted a key moment in the sociology of mental health, the scope of Goffman's book was broad, covering a range of substantive areas that produced a general perspective on the social consequences of difference. He considered the situation of being an orphan, facing hearing impairment or a wide spectrum of disabilities, engaging in criminal behavior, and holding identities from prostitute to revolutionary, in addition to having a mental illness. Lightning produces injury from high voltage, heat production, and explosive shock waves. Direct injuries include cardiopulmonary arrest, cardiac arrhythmias, and neurologic abnormalities such as seizures, deafness, confusion, amnesia, blindness, and paralysis. The patient may suffer contusions from the shock wave or from opisthotonic muscle contractions. Chest pain and muscle aches are common. 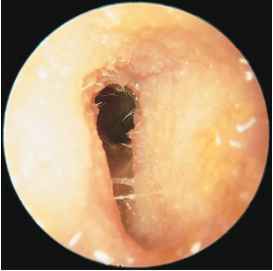 One or both tympanic membranes rupture in more than 50 of victims. Cataracts are usually a delayed occurrence. Hematologic abnormalities including disseminated intravascular coagulation (DIC) have been described. Fetal demise may occur. The somatoform disorders include hypochondriasis, pain disorder, body dysmorphic disorder, and conversion disorder. Conversion disorder may be the most likely somatoform disorder to be mistaken for feigning. In this disorder, individuals present with pseudoneurological deficits of voluntary motor or sensory function that typically fail to follow known anatomical pathways. Other conversion symptoms include aphonia, urinary retention, blindness, deafness, hallucinations, and seizures. Clinicians should be cautious in diagnosing somatoform disorders during initial evaluation and make reasonable efforts to ensure that medical illness has been ruled out, as sometimes medical illness later surfaces that explains symptoms (American Psychiatric Association 2000). Monitor the patient's response to therapy (i.e., clinical signs symptoms and laboratory data), as well as the development of complications, including seizures and hearing loss. Dexamethasone therapy may reduce antibiotic penetration, so antimicrobial drug dosing may have to be increased (especially vancomycin) to achieve dequate CSF levels. Serum levels of vancomycin should be measured and doses titrated to ensure adequate CNS concentrations. Evaluate whether intraventricular or intrathecal antibiotics are indicated. 12. Arrange for patient follow-up after discharge from the hospital. Continue to monitor for neurologic sequelae for several months after completion of treatment, and educate the patient and family in this regard. Serious complications that may occur include, among others, hearing loss, hemiparesis, quadriparesis, muscular hypertonia, ataxia, seizure disorders, mental retardation, learning disabilities, and obstructive hydrocephalus. The introduction of antibiotic therapy and vaccines has reduced dramatically the mortality associated with bacterial meningitis.19 Prior to these advances, bacterial meningitis was almost universally fatal, and those few patients who survived often suffered from debilitating residual neurologic deficits, such as permanent hearing loss. Although significant improvements have been made, the fatality rate of pneumococ-cal meningitis remains above 20 likely due to its occurrence in debilitated patient populations. Deterioration in the ability to hear some or all sounds may come on gradually over a period of several months or years or may occur suddenly over a matter of hours or days. In many cases, hearing loss is the result of an ear infection or a wax blockage and can be treated easily. Hearing loss is also a common feature of aging. However, if you suddenly develop severe hearing loss in one or both ears for no obvious reason, always consult your doctor. While there may be strong logical arguments to the effect that genetic screening does not necessarily discriminate against people with disabilities, nevertheless as long as the point is perceived in this way, the potential for adverse consequences is considerable. One of the most significant implications of genetic screening is the potential effect on our very understanding of concepts of normality and disability. The conceptual and political contest over our understanding of deafness, for example, becomes intensified. This may be the case even in relatively noncontroversial contexts Normality is a relative concept, and any health-related examination therefore includes a risk of the examinees feeling or being felt to be thought of as abnormal or just plain ill'' (Danish Council, p. 60). The clinical characteristics of a glomus jugulare tumor depend on its locally invasive behavior, its anatomic extension, the size of the tumor, and whether it secretes neuropeptide hormones. Most commonly, patients have hearing loss and pulsatile tinnitus or dizziness. Hearing loss is usually unilateral and results from invasion of the middle ear. It can be conductive if the ear canal is obstructed or sensorineural if the cochlea or labyrinth is invaded, and is often accompanied by dizziness. Pulsatile tinnitus occurs in association with a highly vascular lesion, which is seen through an otoscope as a pulsatile reddish-blue mass beneath the tympanic membrane. Occasionally, patients develop otorrhea spontaneously or after a biopsy. Nystagmus (middle and or superior cerebellar peduncle, superior cerebellum and vermis), ipsilateral Horner's syndrome (descending sympathetic tract), contralateral fourth palsy (IV nucleus), and contralateral thermoalgesic sensory deficit (spinothalamic tract) may be present. 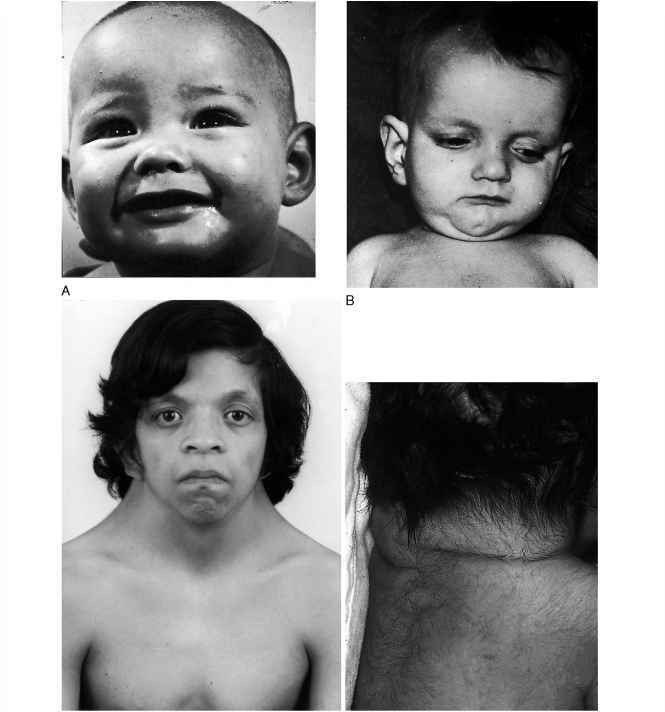 Other signs have been described, such as ipsilateral chorei-form abnormal movements or palatal myoclonus (superior cerebellar peduncle interrupting the denta-torubral pathway), sleep abnormalities, and partial contralateral deafness (lateral lemniscus). Given its close relationship to the distal basilar artery, SCA strokes are very frequently embolic (from an arterial or cardiac source). Underlying pulmonary disease, smoking, and cumulative bleomycin dose, there may be reason to choose four cycles of EP and avoid bleomycin. It should be remembered, however, that the overall risk for BIP with 270 units of bleomycin is low, so avoidance of bleomycin in young individuals who have normal renal and pulmonary function is not warranted. In patients who have underlying peripheral neuropathy or hearing loss in whom minimizing cisplatin exposure might be advantageous, three cycles of BEP may be preferred to avoid the extra cycle of cisplatin. Cortical representations that have been deprived of their normal modality-specific sensory input have become responsive to other sensory modalities. Sensory deprivation due to deafness or blindness from the time of birth leads to some remarkable organizational changes detected by TMS, PET, and fMRI. Cross-modal reorganization following sensory deprivation has also been demonstrated later in life. This phenomenon, if better understood, could lead to retraining and biologic interventions for patients with sensory and perceptual impairments.